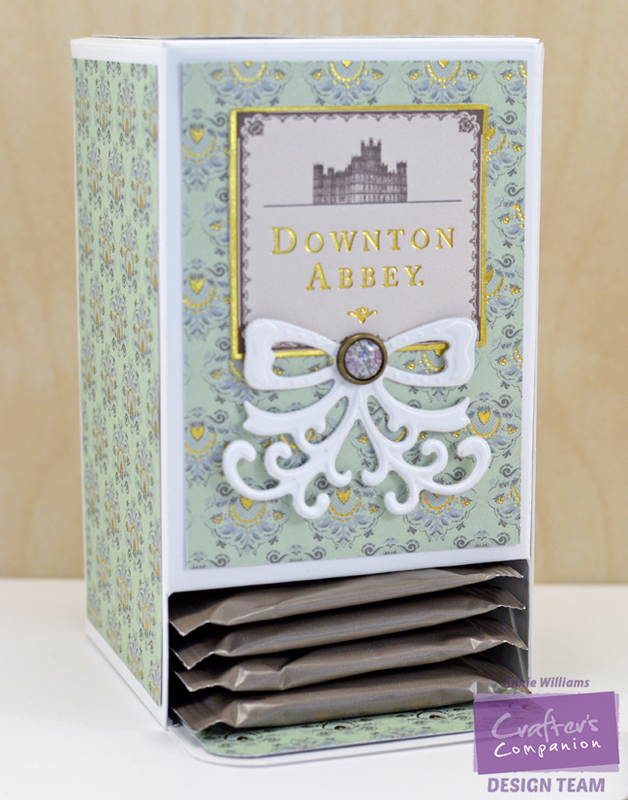 Store your tea bags in style with this fun tea bag dispenser made with elements from the Downton Abbey Papercrafting collection and the Big Score. 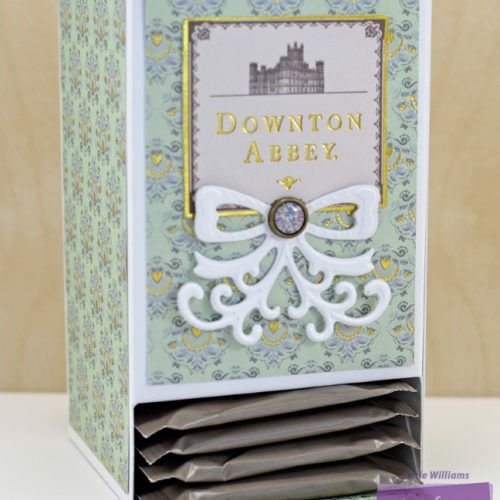 Fill it with your favourite blend and this little beverage companion makes a great gift as well for the Downton Abbey fans or tea enthusiasts in your life. 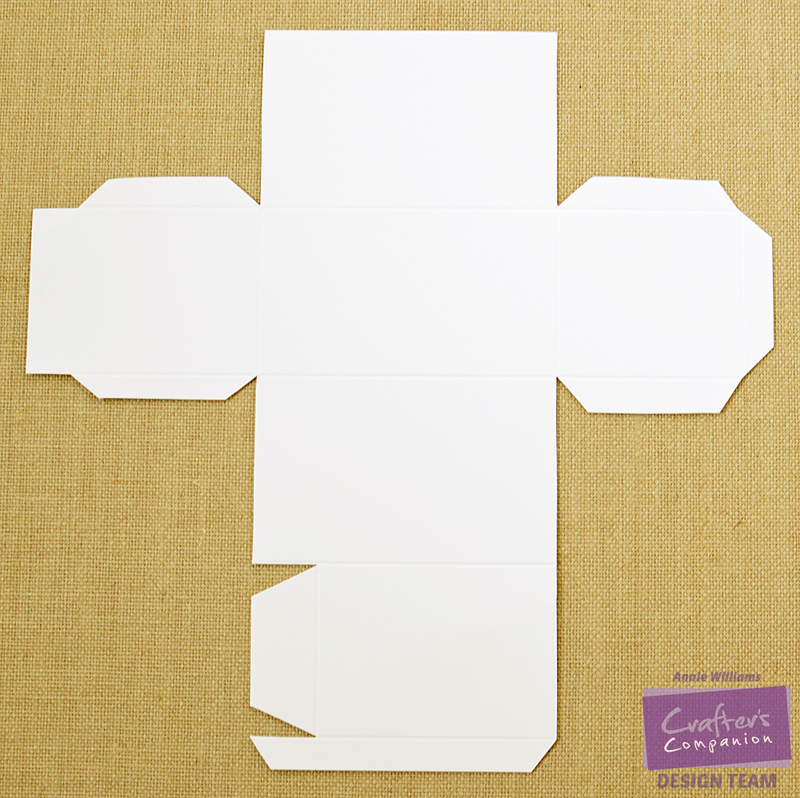 Step 1: Trim a piece of Crafter’s Companion Construction Cardstock to 12” x 12”. Place it on the Big Score and score the cardstock at 3”, 5.75”, 8.75” and 11.5” as shown (scorelines have been enhanced digitally to aid in visualization). 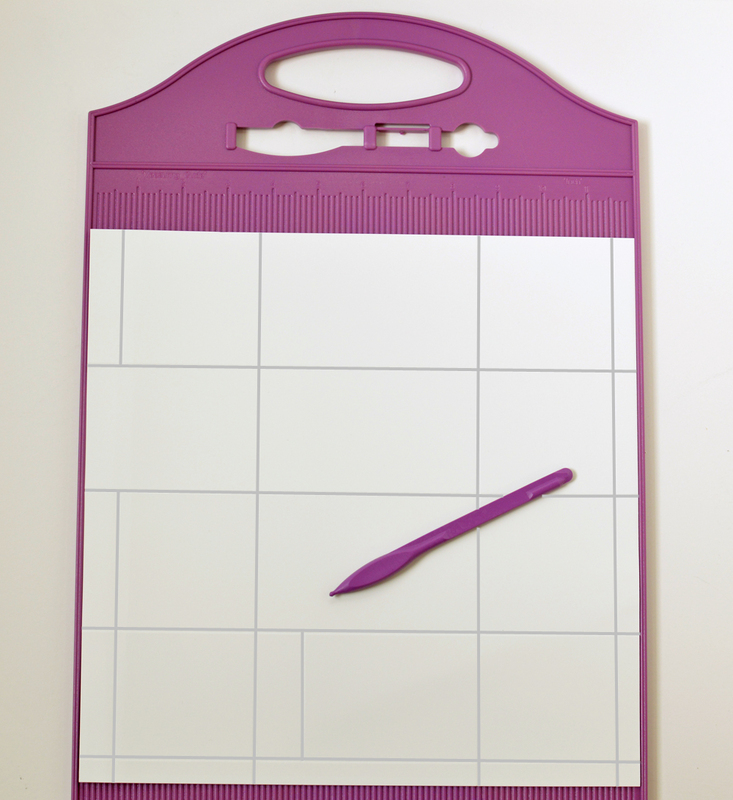 Step 2: Turn the paper 90 degrees counter-clockwise. Score at 0.5” and 3.5”. 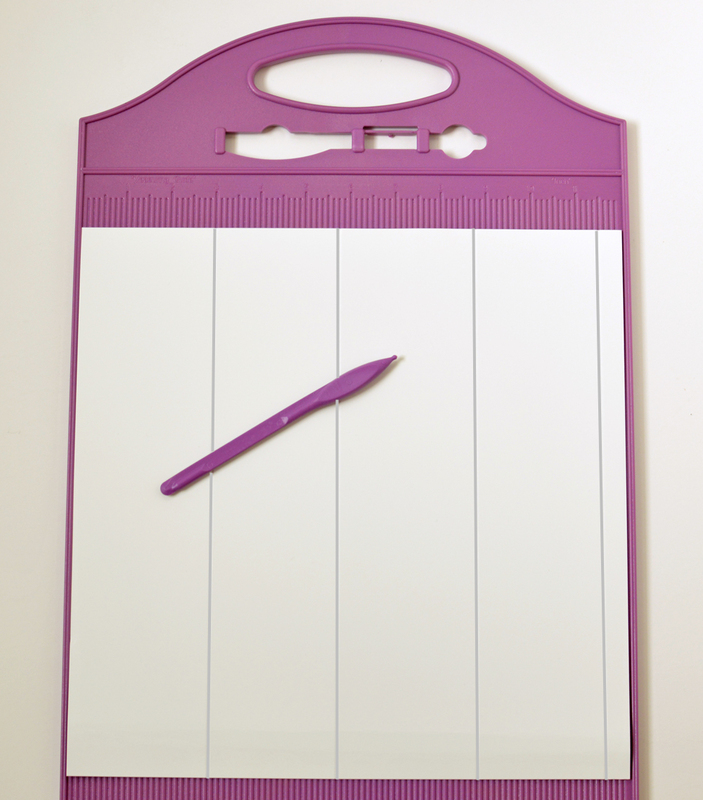 Step 3: Turn the paper 180 degrees. Score at 0.75” up to the first horizontal scoreline and between the second horizontal scoreline and the bottom edge of the paper. Score at 3.75” for the entire length of the paper. Add one more scoreline at 4.75” between the third and fourth horizontal scorelines. 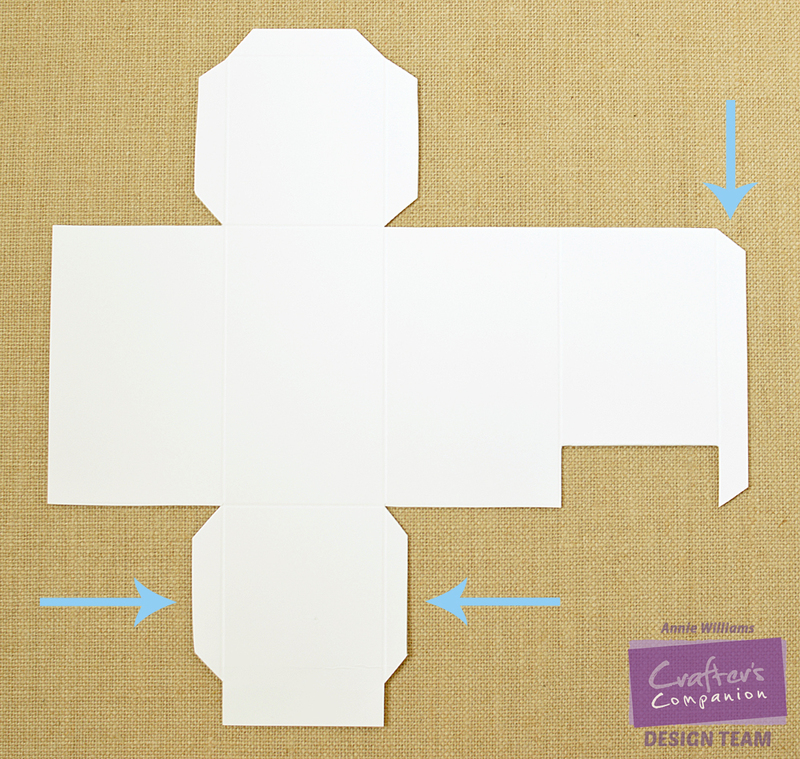 Step 4: Trim away all of the excess pieces using the template above as an example. Be sure to leave tabs for assembly where shown and burnish all folds well. 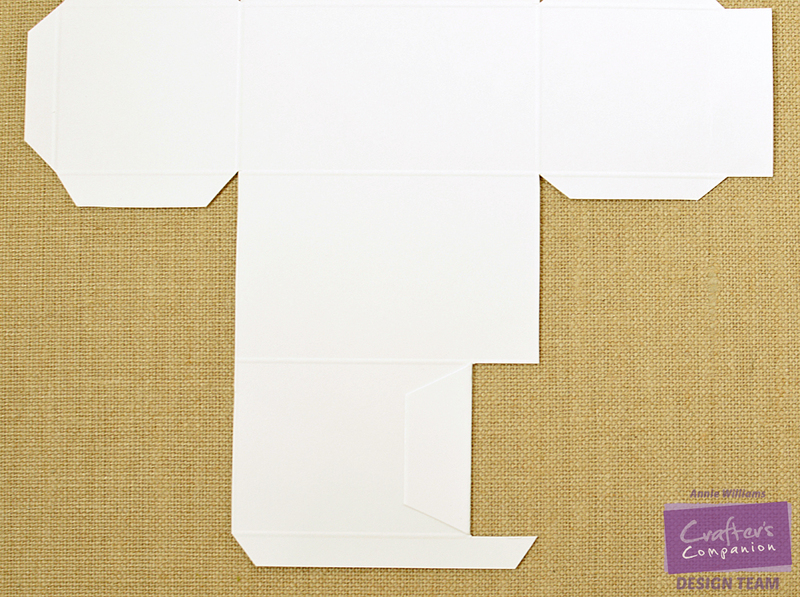 Step 5: Turn the box template over, add a strong adhesive to the tab shown, and fold it back onto the cardstock to adhere. Step 6: Turn the box template back over. 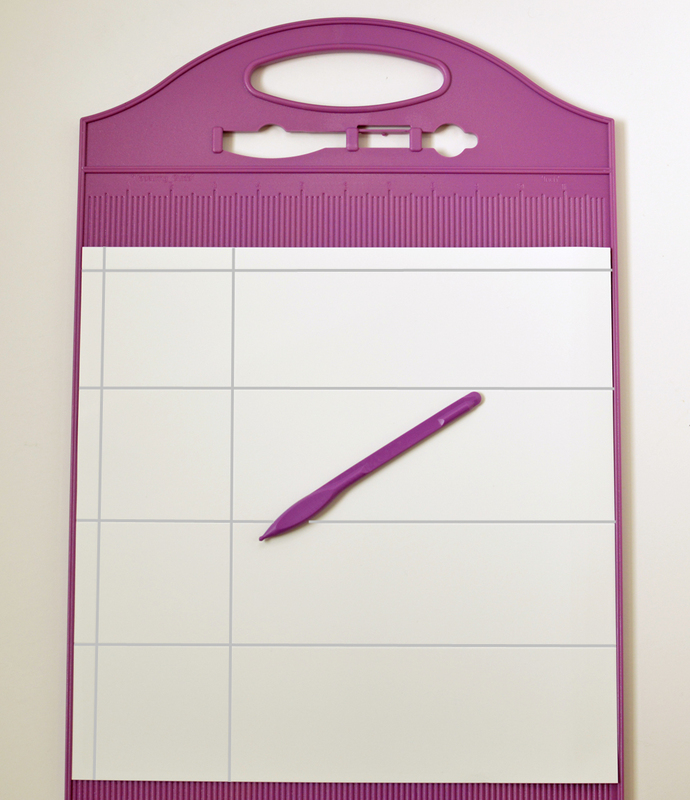 Add adhesive only to the tabs indicated by the arrows. 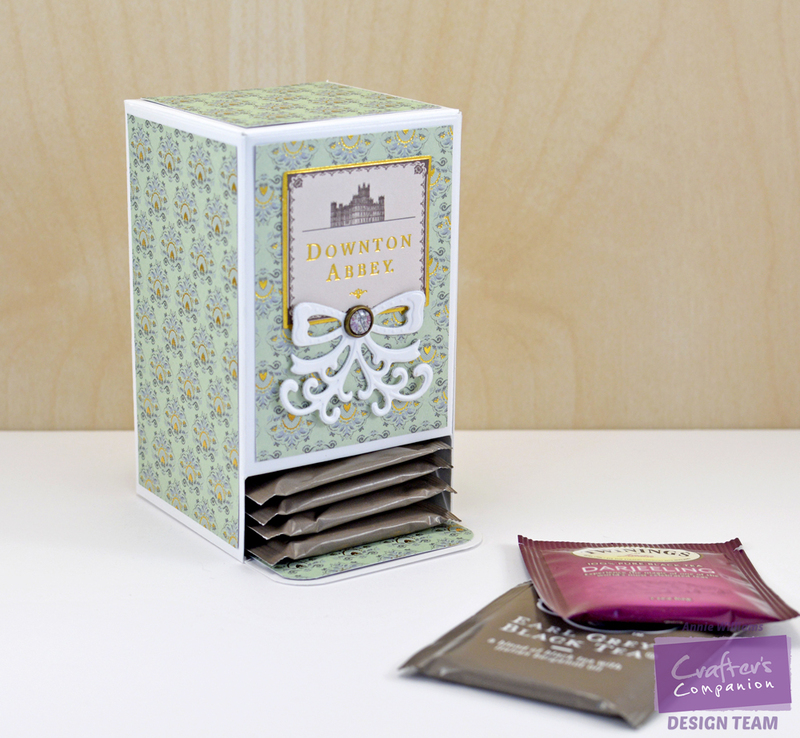 This allows you to open the top of the dispenser up and add more tea bags later. 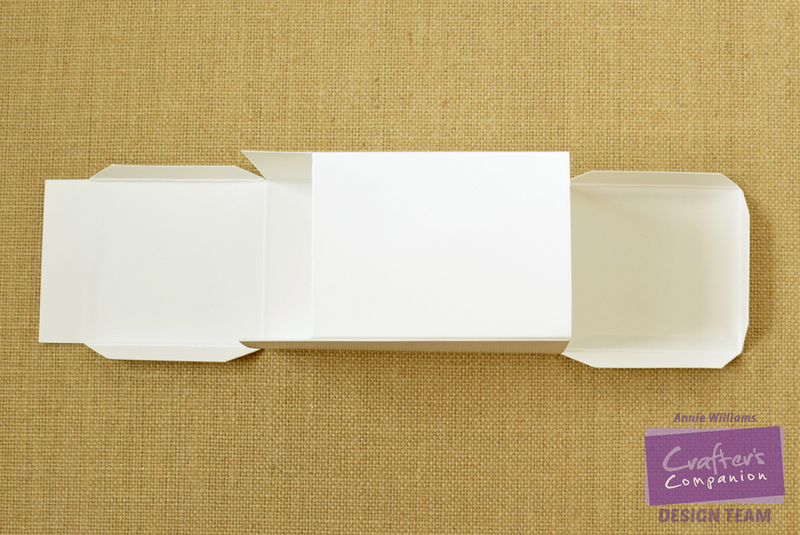 Step 7: Fold up the sides of the box and glue the long tab in place. 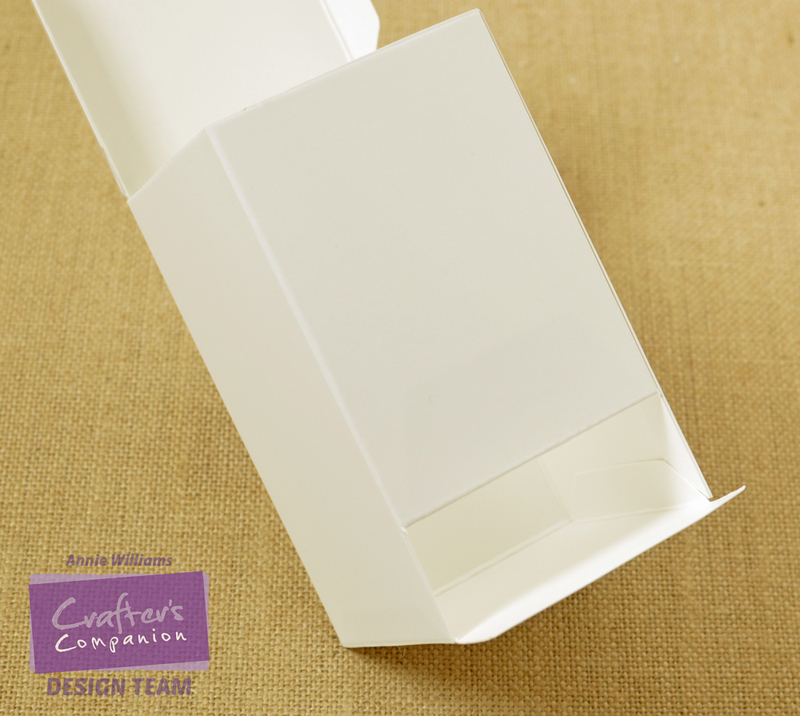 Step 8: Fold up the base and adhere the two small tabs to the sides of the dispenser. Step 10: Die-cut and emboss the ribbon brooch from white cardstock and attach it to the dispenser with an enamel brad. (You may need to poke a small hole with a craft pick first.) 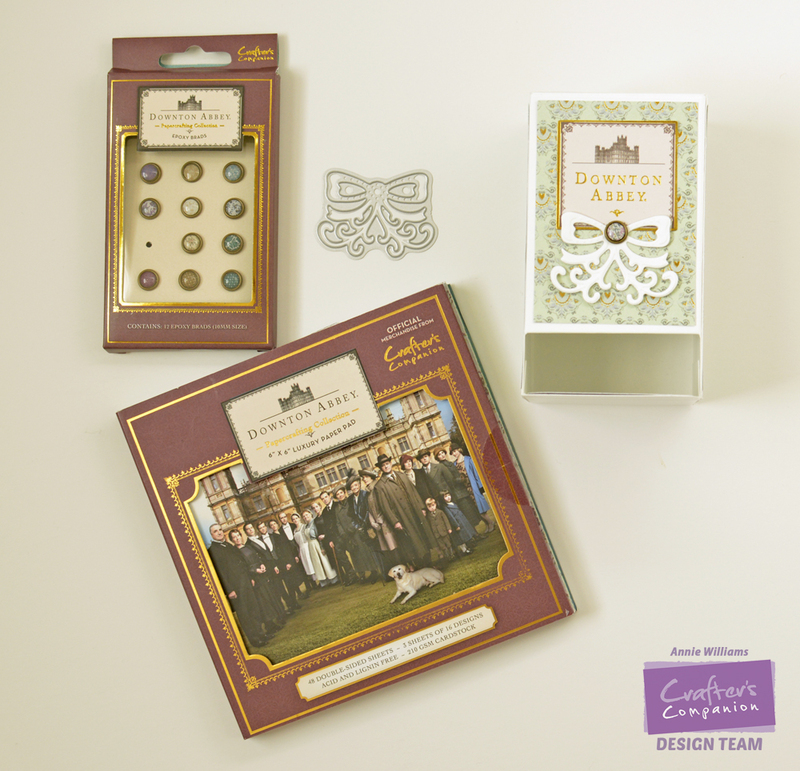 Add a die-cut from the Toppers Set 1 to make your tea “officially Downton Abbey”.